Easy, elegant and tasty. Using a cup of shredded cheddar cheese will make it more cheesy than using grated Parmesan. 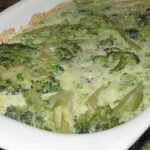 Preheat oven to 325 degrees and grease a 2 quart casserole type dish. Cook and drain the broccoli according to package directions. In a large bowl add the baking mix, eggs, milk, salt and beat until smooth. 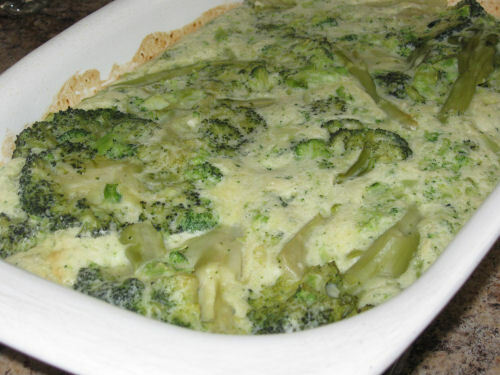 Stir in the broccoli and cheese then pour batter into the greased dish. Bake for about 40 minutes, or until a knife inserted into center comes out clean.